Original parts may fit tight when installed. 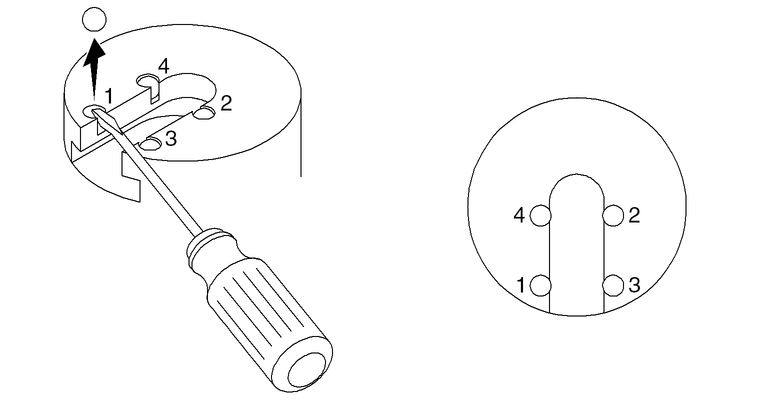 If it is difficult to slide the hook or shelf onto the wall plate(s), one or more of the nylon balls that secure the parts in place may be removed. Starting with the bottom left corner, follow the numerical order identified above when removing the nylon balls from the shower hook or floating shelf. Remove each nylon ball from the back of the shower hook one at a time. Check to see how the parts fit together after removing each ball as needed. Make sure that the connection is tight enough to keep the shower hook secure. Remove one or more nylon ball(s) from each of the shelf mounting brackets. Make sure that the connection is tight enough to keep the shelf secure.